For most of us in the spa industry – in fact, for anyone in any industry - getting an endorsement from Oprah Winfrey is about as big as it gets. Even as her career enters its fifth decade, a positive mention on her show or in her magazine can still turn a small business into something much more substantial, overnight. But it can be both a blessing and a challenge. For Shannon McLinden, founder and president of FarmHouse Fresh, an endorsement from Oprah also proved what a fickle mistress Lady Luck can be: she heard about it while sitting in an intensive care unit as her father lay fighting with a sudden - and ultimately fatal - illness. “My dad had been at a football game and collapsed… he passed away after a few short days in the ICU. As we waited and hoped for his recovery, I was notified that my product had been selected as one of Oprah’s Favorite Things. Under normal circumstances I would have been jumping for joy but my memory of that moment is all a blur. I was overwhelmed by grief. When a second product, our Honey Glaze, was selected several years later, the experience was much more real. I was just over the moon." That first product was a trio of foot scrubs Shannon had designed to prevent heels from cracking as a result of temperature changes after jogging. Like so many others in our industry, she hadn’t been a spa goer before the spa life came to her: “I didn’t have my first day spa pedicure until I was in my early 20’s.” But like the rest of us, once the bug bit there was no going back. But how is an endorsement from Oprah also a challenge? Shannon was aware that the blaze of publicity that followed, while being a breakthrough moment, could also have been a disaster if the company had been unable to cope with the surge in demand. 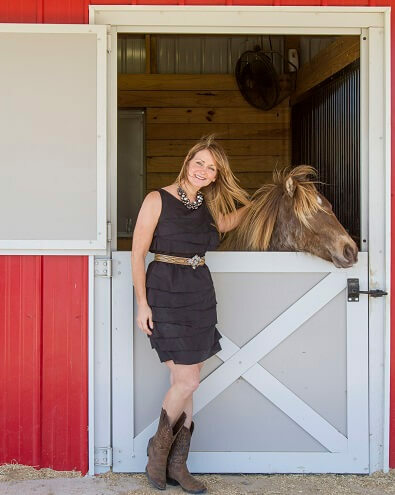 Shannon was an experienced business owner, having started and sold an advertising business before FarmHouse Fresh took over, but even that did not prepare her for the explosive growth FarmHouse Fresh was about to experience. FarmHouse Fresh has what Shannon calls a “slow growth” model, a slight misnomer because the company has grown exponentially. It’s more of a coping with growth model, a philosophy that results in FarmHouse Fresh still turning down some opportunities because Shannon doesn’t want to over burden the company’s operations. FarmHouse Fresh was profitable after six months of operation, and has since funded all of its growth internally. For Shannon, that’s where many small companies go wrong, by taking opportunities to grow that are so large and complex that they can only be achieved by external financing, which in turn leads to external demands that, if not met, can prove fatal to a business. Coping with that growth allowed FarmHouse Fresh to expand and, most importantly, hire the right people to maintain its growth while stimulating a culture where creativity thrives. “I hire people who don’t just come in with a resume, I hire people that love our products so much they can’t picture themselves working somewhere else. They share stories of the first time they tried our product, and some even bring their own fabulous product extension wish lists to interviews! Our team shares restaurant menus and drink ideas daily. We experiment and innovate constantly, so we are all deeply and personally invested in all of our products. I feel thrilled and honored that we attract passionate fellow ‘Farmies’. The spa world can be described in so many words – inspirational, healing, restorative, to name just a few. For Shannon and FarmHouse Fresh, the word is “electric”. Even Oprah might struggle to keep up with that.